Eventually is a productivity app that provides a simple and easy way to keep track of events. 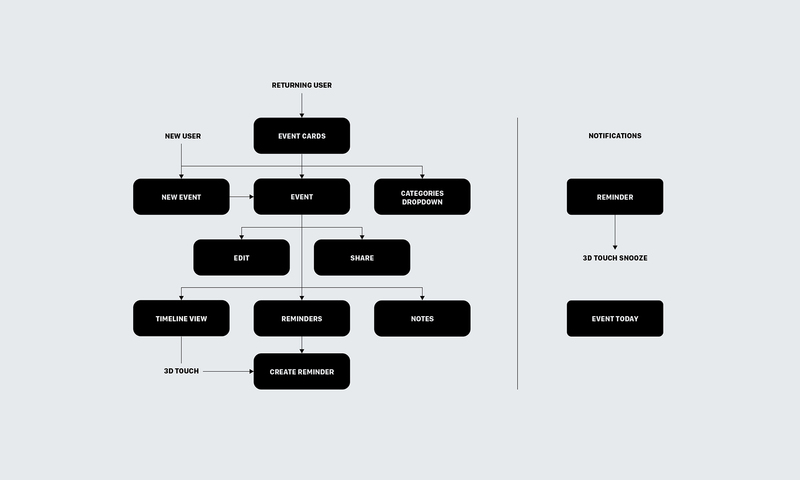 It gives deadlines a visual timeline and facilitates time-management with reminders. Many existing countdown apps are outdated, don't integrate well with the OS, or are just plain unappealing. Eventually uses features such as Apple’s 3D Touch and a gesture-based navigation to make a seamless user experience. Overall, it's aimed to look and feel like the rest of the operating system so the user feels right at home. 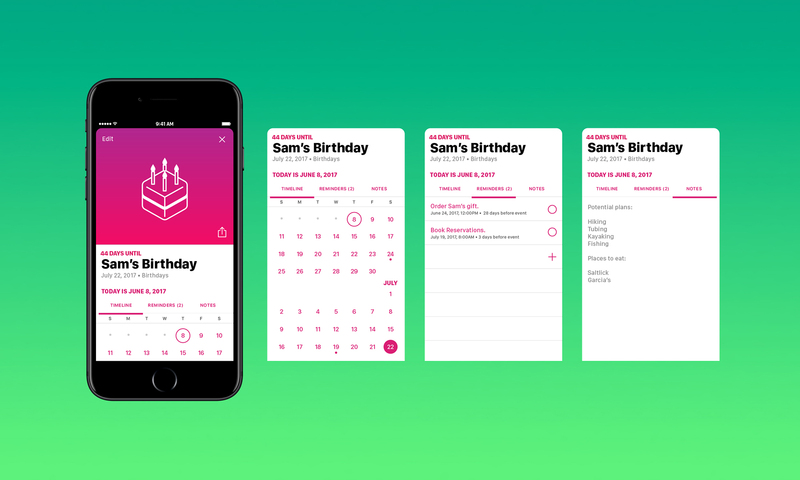 The app icon is an isometric flip calendar that takes visual cues from the app's interface such as bright colors and rounded corners. The app uses bright gradients to appeal to a young audience and to help differentiate UI elements such as events. It gives the app a modern look while blending in with the rest of Apple's iOS. Within the app, the user can choose from a set of icons to display with each event. 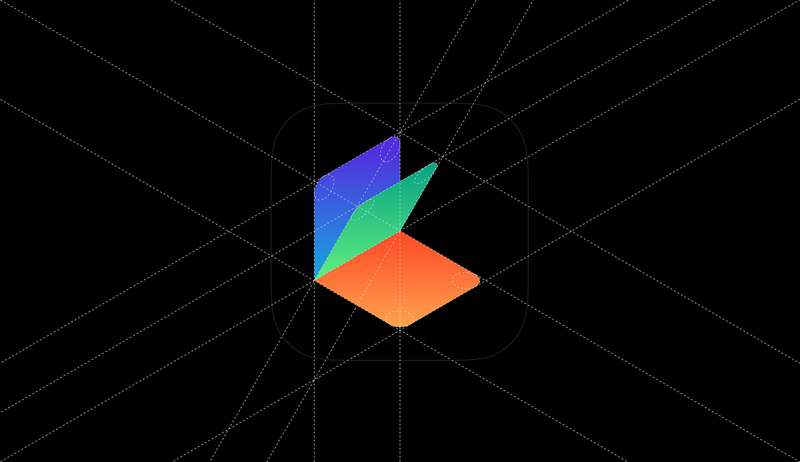 The icons are isometric to complement the app icon. Apple's system font San Francisco is used throughout the app to take advantage of Dynamic Type—Apple's accessibility feature that allows the user to change the font size of the entire OS. To avoid impractical thumb stretches across the screen, the app’s navigation uses gestures that can be used on the lower part of the screen. 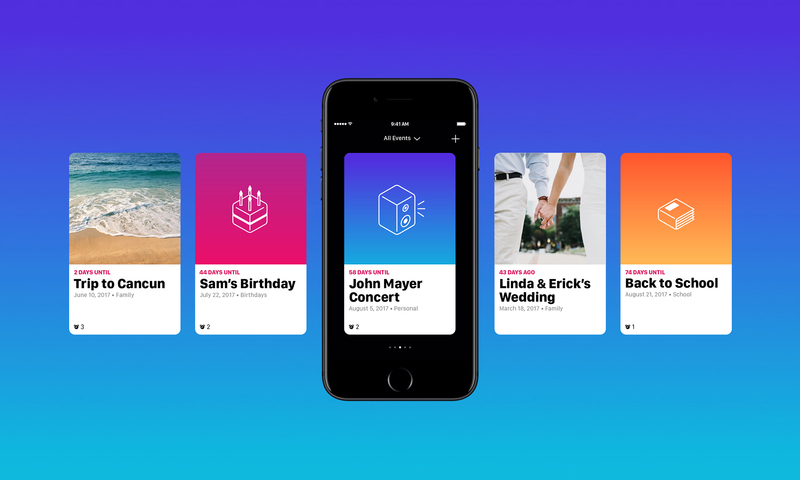 Familiar gestures and UI elements such as cards encourage the user to easily swipe between events, access content, or dismiss a page. Each event card can be customized to have a photo or icon as a cover. 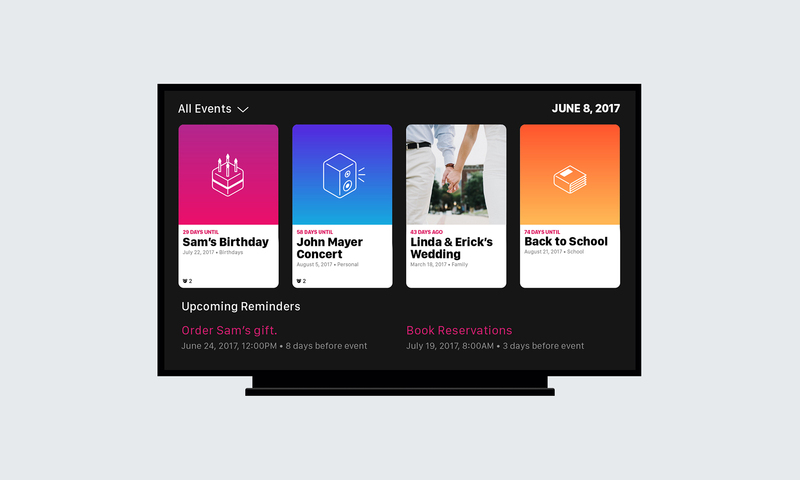 Once the card is opened, the user can find more information about their event such as a timeline view, reminders, and event notes. The timeline view serves as a visual prompt for deadlines before the event date. For example, a user might need a reminder to order a gift, book a flight or dinner reservations prior to a birthday. To make this easy, the app uses the iPhone’s 3D Touch feature to quickly add a reminder by pressing firmly on a date. 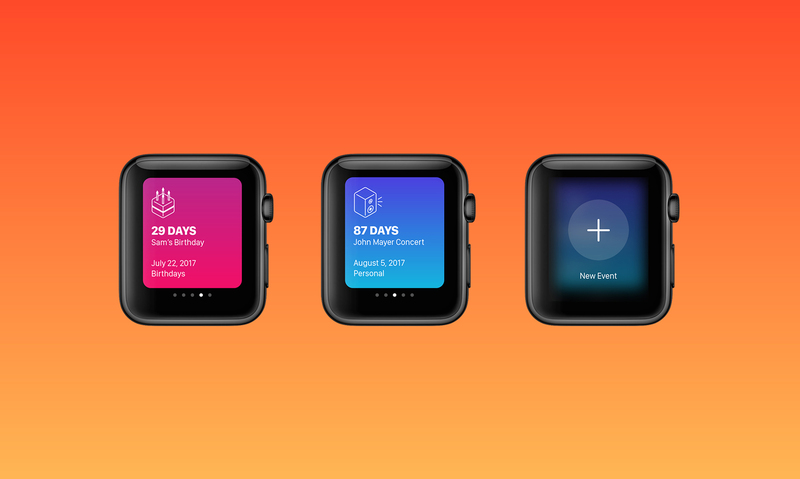 An Apple Watch and Apple TV app sync events from the iPhone app. The user can create new events or easily swipe between them to keep track of their deadlines.